Beautiful spider.. saw this one today...tiny guy maybe 1/4 inch long. I need to get my slr and revisit it. Isn't that a white crab spider Al? They look beautiful on a thistle flower. Baby sitting this little dude while my brother rides the hurricane out at the Aquarium in Charleston. 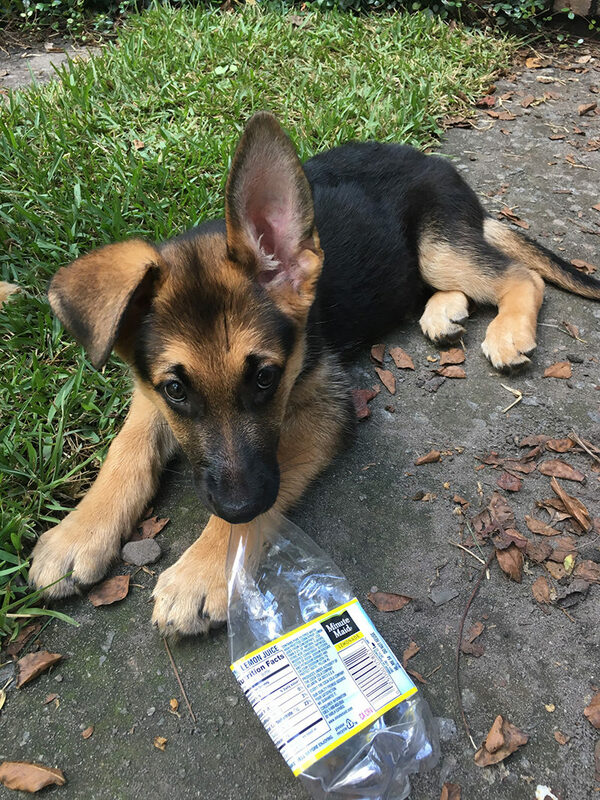 9 week old German Shepherd. Lemme just say the hurricane is already at my house, sheesh this guy is a handful but super sweet! Hope you and your brother stay safe this storm! How did I miss this one? Those arte some really cloud shots! The second one is awesome and I am nominating it for the Pic of the month Club for September! I almost missed this one too. I’ve never seen clouds shaped like this-bizarre and very cool! Since you're a mod I shall contact you in the thread. I want to nominate the second pic. What is that creature called, anyway? It’s a wild iguana. There were some green ones and a couple of these guys living around the pool area. They use their teeth and tail as weapons and can snap their tail off if threatened. Thanks for nominating me Liz! That brings back memories! We had an iguana for 1O years.. His name was kirby.We brought him home from the petshop in a small brown paper sandwich bag..When he died he was a good 7 feet long. I saw a baby at a petshop here this past week.I almost took him home.